Artist's view of Bristol water slide Jump to media player A giant water slide has been installed in the centre of Bristol, with 300 people taking turns to hurtle down it on lilos. For some, it is not enough to go and see an art exhibition - it is much more rewarding to become part of it. The latest show by the artist Carsten Holler allows visitors to interact with large, moving sculptures. 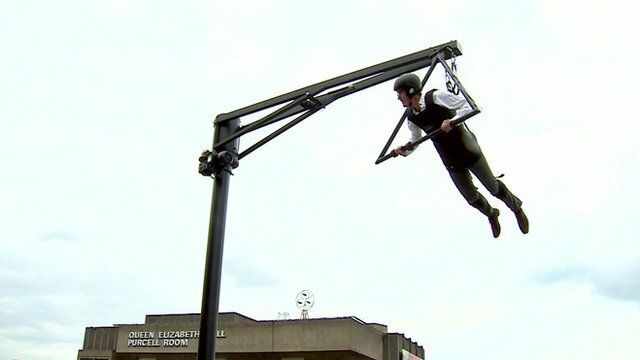 Will Gompertz visits the exhibition at London's Hayward gallery and meets the artist.